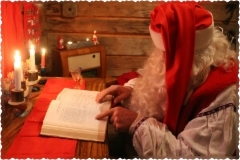 Santa Claus and the Magic of Christmas! 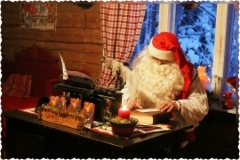 You are warmly welcome to join us at Santa's Secret Cabin and his yard. Elves too. You will get to know many stories about Elves birth and their workshop. 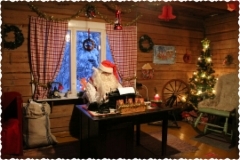 Finally you’ll go inside to Santa’s Secret Cabin and there you’ll meet Mr and Mrs Santa. gingerbread cookies, which she has made by herself. kind of animals in the world. Santa will also give a small Christmas present for every child.